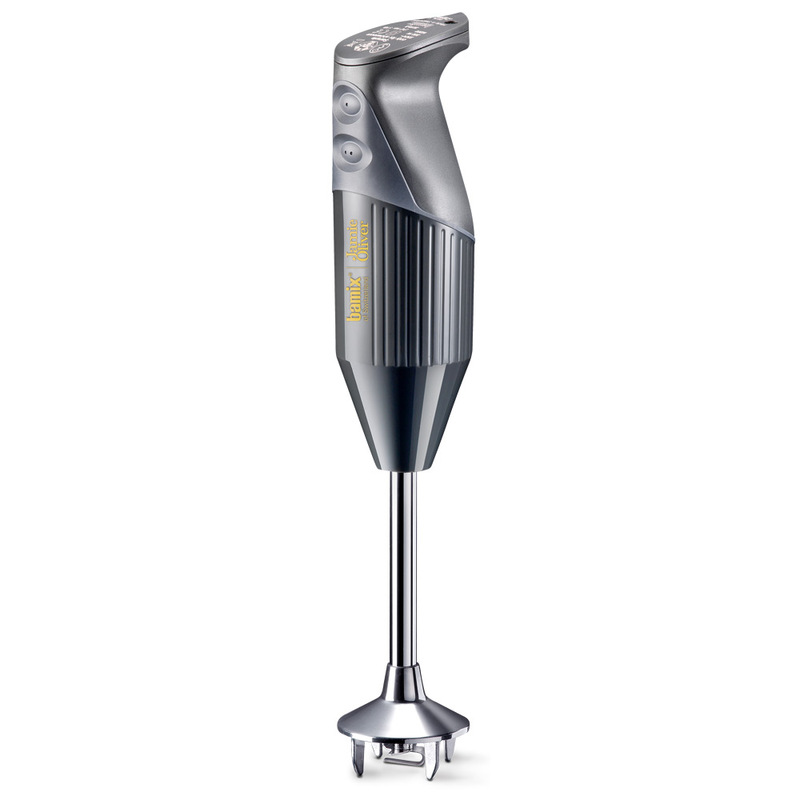 In a special collaboration with one of the world’s most renowned chefs, the new Jamie Oliver Deluxe Hand Mixer will have you feeling like a pro. Whether you’re mincing, mashing, blending or beating, this all-in-one appliance features two speed settings to best suit the culinary task at hand. Complete with a stylish storage stand and a booklet filled with Jamie’s recipes, this hand mixer makes food prep fast and fuss-free. Designed in collaboration with Jamie Oliver. Crafted from stainless steel, copper and food-safe durable materials. Two speed settings – 12000 and 17000 rpm. Perfect for a variety of culinary tasks including mincing, mashing, whisking, blending, beating and more. Comes with various stainless steel attachments. Stylish stand lets you store your hand mixer on your kitchen counter. Also comes with a recipe booklet by Jamie Oliver. Hand wash recommended for all attachments. Box Dimensions: 23.5cm (l) x 36.5cm (h) x 11cm (w).